In honor of Earth Day I thought I would share two of my favorite green products with you. I love bum genius washable diapers. We have been using them on the Little Miss for about four or five months now and they work great! 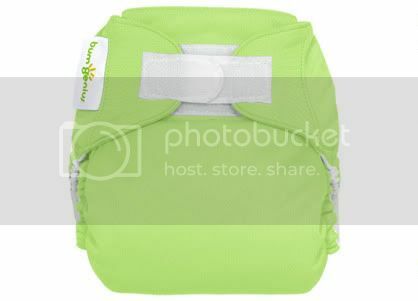 They fit babies 7-35 lbs so you don't need to buy additional sizes - adjustable snaps shorten or lengthen the diaper. The fit is just like a disposable, although bulkier, but its worth it because your wallet will be bulkier too! The initial investment is a bit substantial (about $100) but each diaper pays itself off in about 1 1/2 months of use (that includes the utilities to wash it) and you can use them on all of your children! We have six diapers and that is plenty for a days use. And that's six less disposable diapers sitting in a landfill everyday. 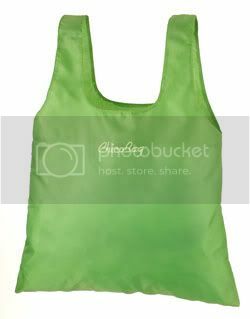 There are a lot of reusable bags out there, but Chico Bags have my loyalty. I am amazed how much stuff I can fit in them, and I've found so many uses for mine other than as grocery bags. My favorite part is they come in a pouch that is attached to the bag so they are easily stored... You won't forget to use your reusable bags when they are right in your purse or glovebox! And they come in lots of bright, cheery colors. Way to go San Francisco for banning the use of plastic bags! now we need a cute diaper picture of avery. i wanted to use cloth diapers, but i would have had to buy every size. this is a genius idea.